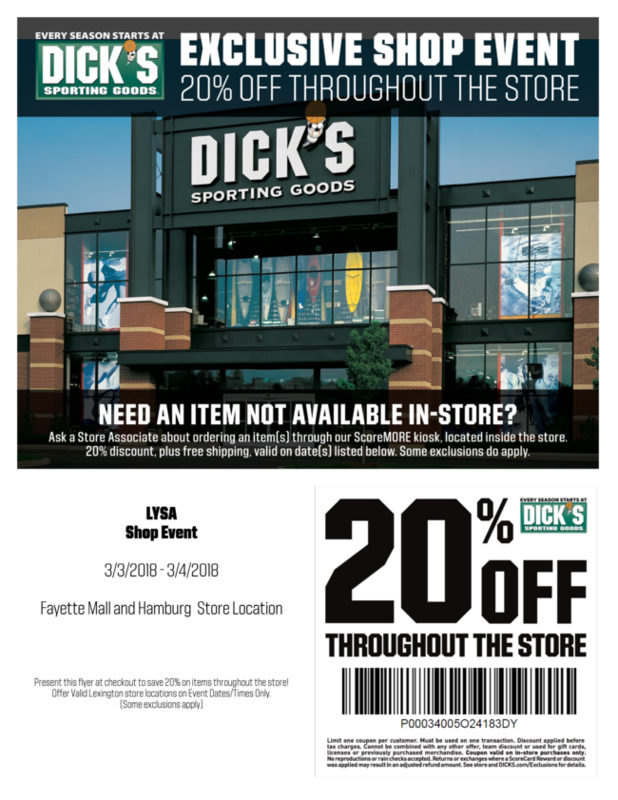 As we prepare for the upcoming season, we’d like to announce a great opportunity to save on all of your soccer gear - and more! March 3 & 4, 2018. * The discount is valid on purchases STOREWIDE – including soccer equipment and apparel, running shoes, camping gear, bicycles – you name it! *Certain exclusions apply, but are mostly limited to guns, ammo, and some golf brands. *If they do not have a product in store that you need, you will be able to order it that day with the 20% discount and receive your product at home in 3-6 days. *If your team would like to place an order, they can do so in the store over this weekend and receive the discount. Present the attached coupon or mention LYSA at the register to redeem!